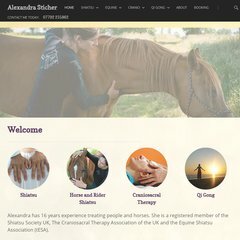 Topics: Shiatsu For You, Horse & Rider Shiatsu, A Practice In Barrow Gurney, and The Relaxation Centre In Clifton. Its 2 nameservers are ns72.eukdns.com, and ns73.eukdns.com. It is hosted by Eukhost Ltd (England, Leeds,) using Apache web server. Its IP Number is 213.175.200.1. PING (213.175.200.1) 56(84) bytes of data. A ping to the server is timed at 99.2 ms.